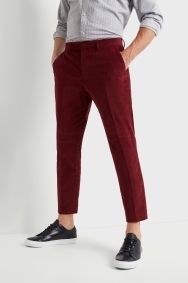 Get noticed in these red cord trousers. 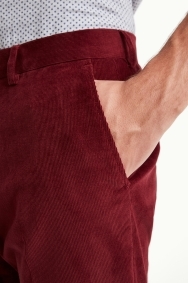 Ideal for smart casual events, their bold colour and cropped length will exhibit your style and show off your shoes. The tapered design offers more room in the leg but the skinny fit ensures your outline stays sharp at all times. Let the red do the talking. 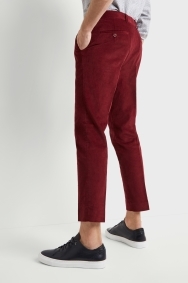 Team these trousers with a skinny fit shirt and your smartest sneakers. Very happy with my trousers, nice quality and good fit.